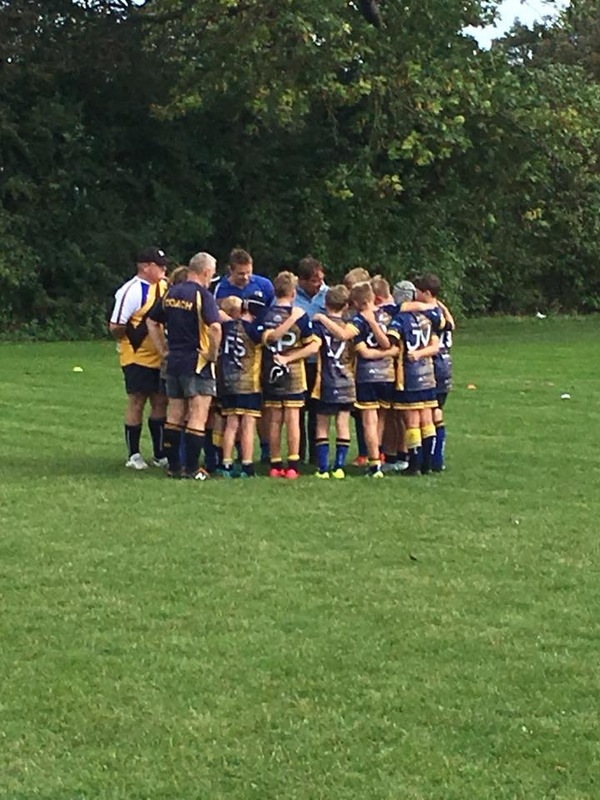 Thanet under 12’s travelled to Canterbury for their first local game of the 2018/19 season with 22 players (1 3/4 teams). The previous days travels and games in the Saracen’s Waterfall Touurnament clearly paid it toll with Jack V nursing an ankle injury and Logan M and Raz W unavailable through injury/illness. Both Thanet teams played well with ball in hand and looked good going forward producing good tries for Ben Q, Finlay S, Charlie P, Callum D and Charlie B and Big Fin. However defensive frailties enabled Canterbury to win both these opening games. A promising start to the season for the u/12’s. There was a number boys playing their first ever game of contact rugby, all of whom played well.